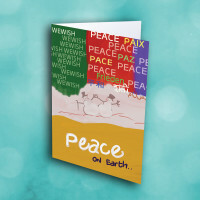 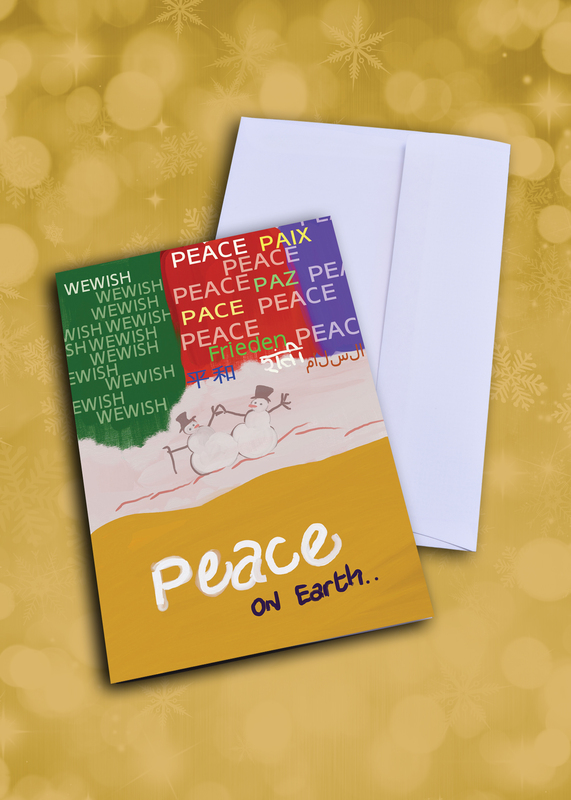 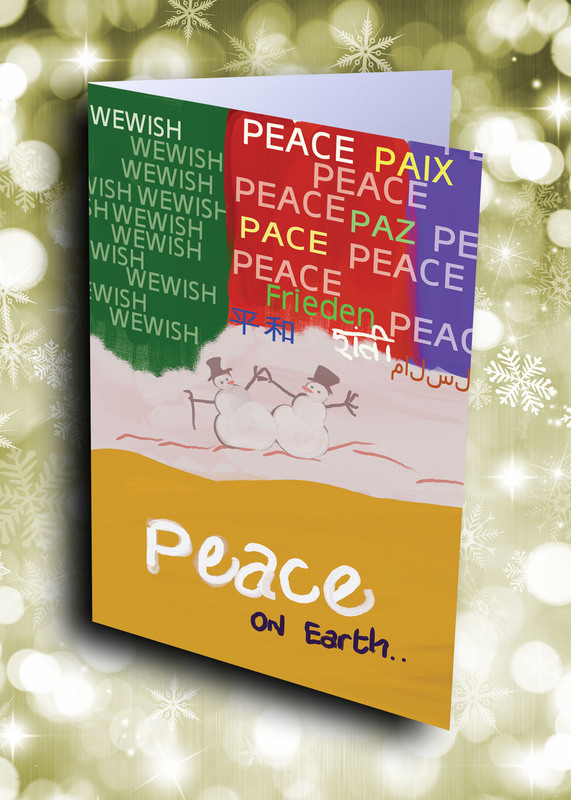 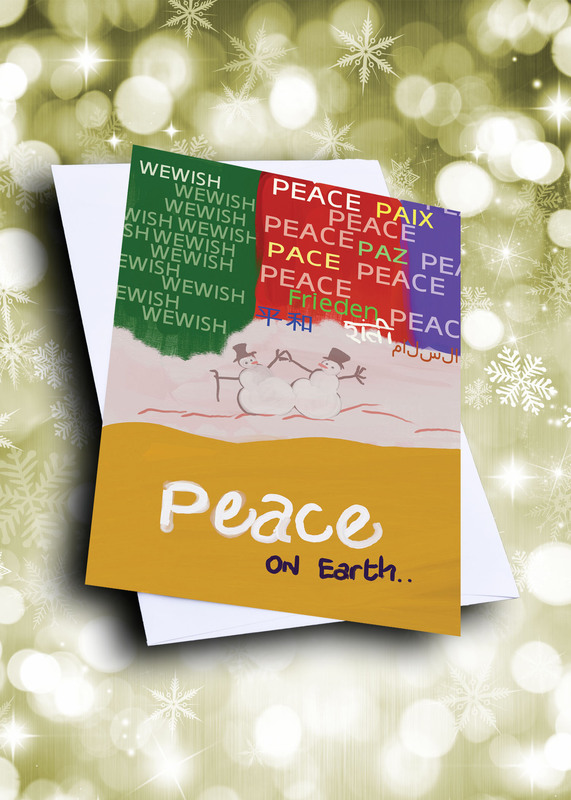 Send a memorable, multi-cultural wish for peace with this intriguing holiday greeting card. 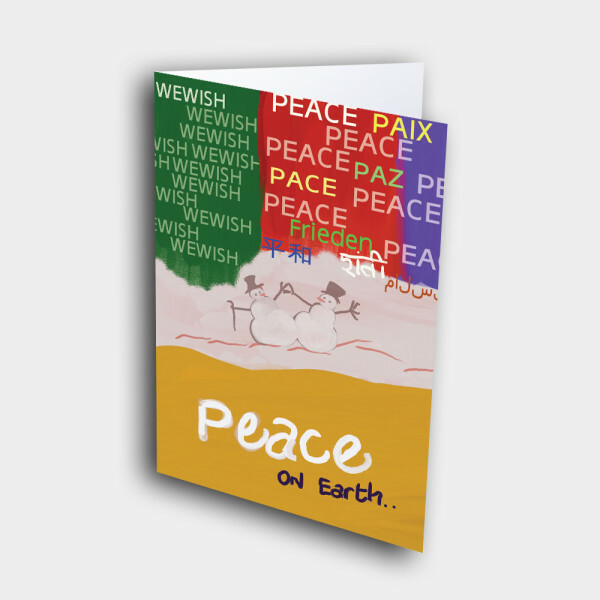 A truly unique, snowman holiday greeting card. 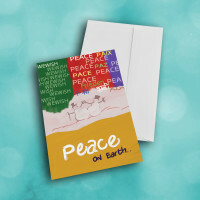 The bright, color-blocked front is decorated with different messages of peace, written in multiple languages across the world. 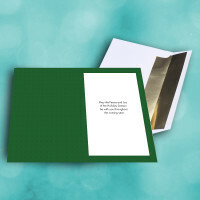 The dark-green, patterned interior displays the meaningful message; personalize the card and create your own custom message, to make the card more special.